Under the guiding hand of head coach Richard Shore, Tillery Combat MMA has become intertwined with Cage Warriors and their visits to Wales. In today’s episode of Across The Pond, you will be introduced to a war horse looking to join his fellow countrymen in victory at Cage Warriors 104 on April 27 at the Viola Arena in Cardiff. A professional since August 2013 and representing Tillery Combat MMA alongside current Cage Warriors bantamweight champion Jack Shore, Josh Reed owns an 8-3 record in 11 career bouts as a professional comprised of five submissions, two knockouts and one decision. Reed has spent the majority of his professional career with Cage Warriors and has managed to score a finish in seven of his eight professional victories. In his MMA debut at Pain Pit Fight Night 8 Vendetta, he submitted Tyler John Thomas in the first round via armbar. Reed also tapped out his next three opponents that included wins over Brad Evans and Ash Williams. Then in his debut appearance with Cage Warriors at Cage Warriors 76, he defeated Ben Rees via TKO in the second round. Reed defeated Ireland’s Martin Sheridan in his next outing with Cage Warriors at Cage Warriors 79 via split decision. He knocked out Gavin Kelly in the first round in his next appearance with Cage Warriors at Cage Warriors 83. 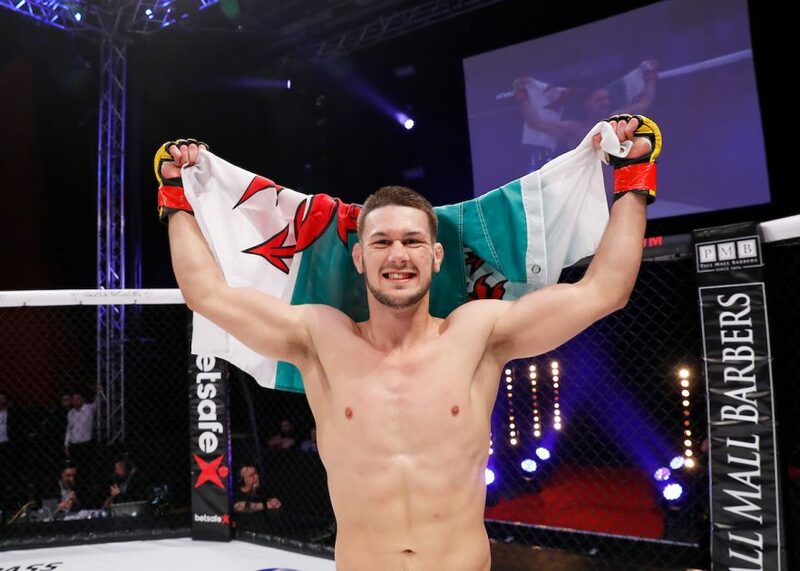 For the headliner of Cage Warriors Academy Wales 3, Reed faced Rory Evans and tapped him out via heel hook in the first round. The win also earned him the fifth submission victory of his professional career. In his next appearance with Cage Warriors at Cage Warriors 104 on April 27, Reed will face Belgium’s Ayton De Paepe in a bantamweight battle. Cage Warriors 104 will also feature several other MMA talents from Wales including Kris Edwards, Mason Jones and Aaron Khalid. Good luck Josh!